Even the State knows that 7 hours is just not enough for a young driver, which is why the New National Standards suggest 10 hours of in-car driver training. 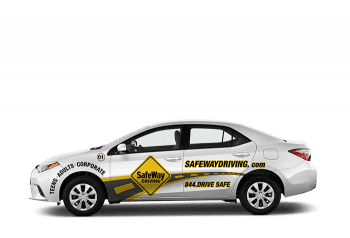 The SafeWay Basic meets this standard while providing some additional time on teen driving fundamentals. The new National Standard recommends a minimum of 10 hours of in-car training with a certified professional instructor, and you should not settle for anything less. Most teen incidents occur at intersections, on freeways and in parking lots. Every young driver needs coaching in these areas beyond what the State Minimum provides. When you enroll in the SafeWay Basic your teen will receive 10 SeatTime Hours leaving 27 additional State required hours to be completed by you. Driving is the only dangerous thing most people do everyday and it requires a certain skill level to survive today’s dangerous roads. Don’t put your teen on the road with anything less than the National Standard.